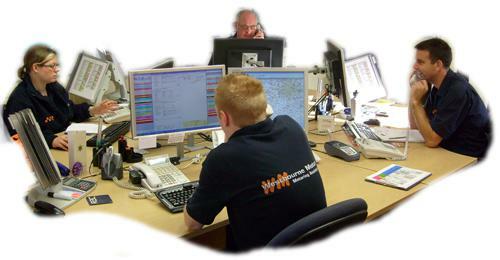 Westbourne Motors ‘state of the art’ control room facility 24 hours a day, 365 days a year. 15000 calls for assistance each month. Excellent response times to ensure attendance within minutes. Specialist training is given to all Control Centre staff with our cutting edge technology. Our I.T. systems ensure a rapid and accurate response to every call for help. Data electronically received from organisations saves time and reduces delay. Email, turbo despatch, high speed internet access are all at hand. The nearest and best resource is despatched every time and without delay. All controllers have a vast knowledge of both the UK and national road systems. The latest technology can pinpoint even remote locations. The largest fleet of rescue recovery vehicles in Southern England is tracked with satellite technology enabling constant monitoring of the breakdown process. All roadside vehicles are fitted satellite navigation to ensure rapid and accurate response.